The warm weather is here to stay, and we're making all the changes to celebrate spring's arrival. From the open windows to a menu boasting the freshness and airiness of the season, spring is in full swing in the Hill House. We're scooping up fresh fruit from the farmer's market and coming up with festive ways to use it in the kitchen. One of my favorite ways to use fresh fruit is in drinks. And there's nothing quite like a sparkling spritzer to toast springtime! Find Aquafina Sparkling Waters at Target, and be sure to use this Cartwheel offer at checkout! There will be tastings/samplings for Aquafina Sparkling in certain Targets across the U.S., so check that out the next time you visit your local Target. For more information on Aquafina Sparkling Water, check out their Facebook, Twitter, and YouTube. On warm, spring days my favorite drink has a little fizz and a lot of taste. I like a pretty straw and plenty of beautiful fruit lining the glass's rim to make the drink a little bit more extraordinary. Aquafina Sparkling Water was the key ingredient in making these spring spritzers, giving them the perfect fizz to complement the fruity taste. I was inspired by Aquafina's line of flavors so much that I couldn't settle on just one spritzer, but two. So I got to concocting two different drinks made for a weekend backyard affair or a girls' night with your favorite ladies. Keeping these drinks light, flavorful, and natural was important for me, and Aquafina Sparkling delivered with their zero calories, zero sugar, and zero artificial flavors. 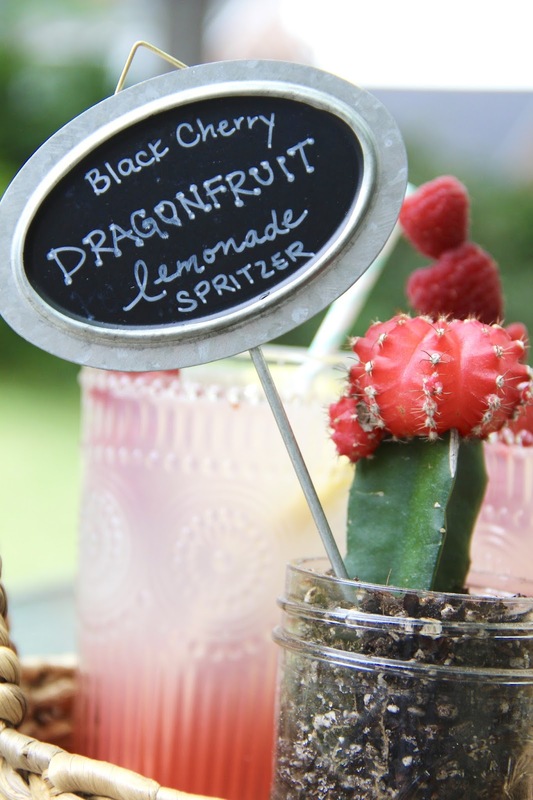 I used their classic Lemon Lime flavor to make a Grapefruit Lemon Lime Spritzer and their newest Black Cherry Dragonfruit to make a Black Cherry Dragonfruit Lemonade Spritzer. As I mentioned, taking a drink from simple to fabulous involves a little fancy fruit for presentation. 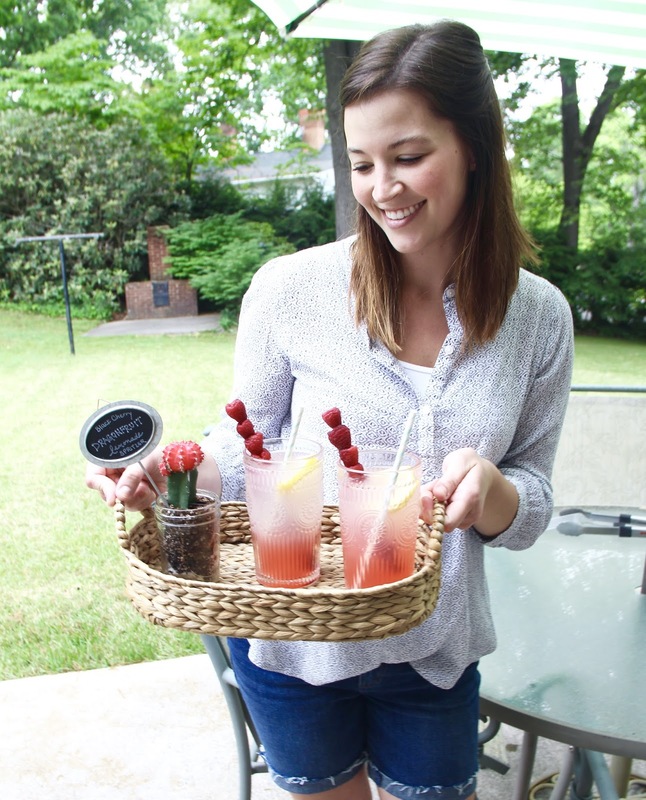 If you're hosting your best gals or throwing a backyard bbq, be sure to include these festive spritzers and a toppings bar for your guests to make their drink extra special. From berries and mint sprigs to orange and lime wedges, there are endless ways to top your spritzer. But, first let's get to making those spritzers! Start by making the fresh lemonade. Halve and squeeze all of the lemons. Strain the lemon juice and set aside. Bring the cup of water to a boil in a saucepan. Add the sugar and let dissolve. Now combine this simple syrup with the lemon juice in a liter-size container. Fill with cold water until you reach the desired taste. In a drinking glass, pour half a can of Black Cherry Dragonfruit Aquafina Sparkling Water. Add one cup of fresh lemonade. Stir well. Add a splash of grenadine. Pop a handful of blueberries and a couple of lemon slices into the spritzer, adding a lemon slice to the glass rim. For the sugar-coated raspberries, roll the clean raspberries in some lemon juice. Then sprinkle with the turbinado sugar until coated. One by one, put them on a bamboo skewer. Start by squeezing the grapefruits. Remove the seeds. In a small pitcher, pour two cans of Lemon Lime Aquafina Sparkling Water. Stir in the fresh grapefruit juice. Pop a handful of blueberries and a several blood orange slices (saving some for the glass rims) into the pitcher, topping with mint. For the sugar-coated blackberries and blueberries, roll the clean blackberries and blueberries in some lemon juice. Then sprinkle with the turbinado sugar until coated. One by one, put them on a bamboo skewer. 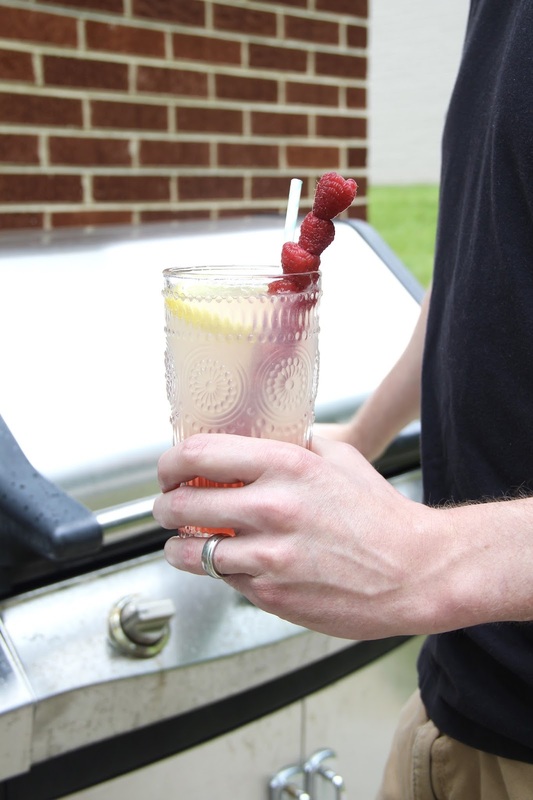 Once you pour the spritzer into drinking glasses, add a splash of grenadine to each and top with more mint. Load up a tray of drinks and head out to your guests with the best spritzer around. Before, during, or after dinner, you'll have a hit on your hands. Greet your guests at their arrival with a glass of fresh fruit juice, topped with just the right amount of flavored fizziness. Cheers to a spring and summer full of fresh, fruit spritzers!